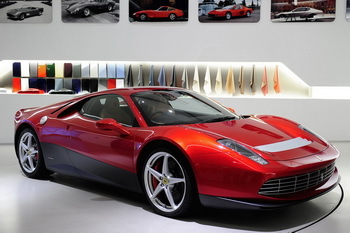 Designed by the Centro Stile Ferrari in collaboration with Pininfarina and the engineers from Maranello, the one-off Ferrari SP12 EC, created for musician and Ferrari collector Eric Clapton, has now been officially revealled. 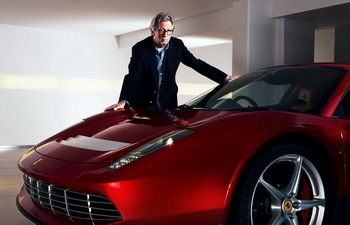 The world-famous guitar player has been attached to one particular Ferrari model: the 512 BB, of which he has owned three over the years. So his desire was to drive a car inspired by this model. The new project is based on the current production 458 Italia with new bodywork, while, adhering to Ferrari's "Special Projects" criteria, the engine and mechanicals remain untouched. 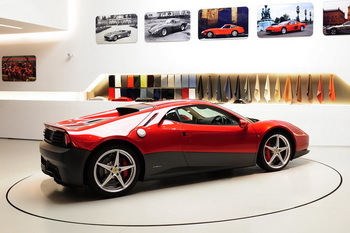 Attention in terms of style and technology have been paid to the proportions and architecture of the SP12 EC - which is part of Ferrari’s one-off programme – making this unique sports car significant, although working around the strictures of the 458 Italia's architectural fundamentals have dictated aspects of the design. According to Eric Clapton, following the SP12 EC project through from what was, essentially, a blank canvas, it was "one of the most satisfying things I’ve ever done."